The Charity began in Czech Republic (2009). It is based on education and active participation, with the belief that philanthropy is the gateway to becoming better citizens with an focus on inclusion for all people, no matter your nationality, race, creed(religion), or disability. RWTTC set out on a journey to educate the general public about the special needs population, and to increase awareness of the challenges this population faces on a daily basis. The belief is that through education and inclusion, an increase in disability awareness will occur, resulting in acceptance and inclusion into society. Everyone should be treated equally, without hesitation. Finally, RWTTC advocates for change, a better understanding, and for a cities that are more handicap accessible. Currently, the highlight of the charity is the participation and partnership with the Prague International Marathon in the Czech Republic. One of a select few marathons in the world to attain the title, Gold Medal Marathon. In 2011 RWTTC spread its mission to Richmond Virginia USA by participating in the Monument Avenue 10k and the Sportsbackers Half Marathon. It was also the first time that participants in wheel chairs where allowed to race. Since then, We have spread the mission to races in San Fransisco USA, Serbia and other cities in the Czech Republic. 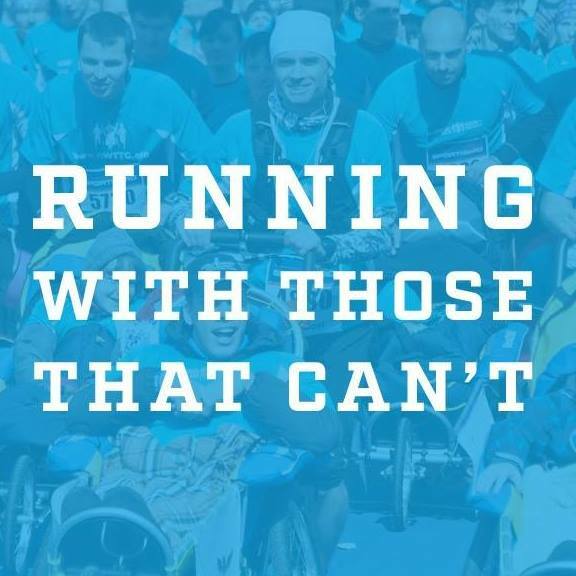 The organization raises money through both corporate and individual sponsorships for specialized strollers and then push (as teams) the athletes throughout the race. The strollers are donated to the families after the race. These special strollers give the children and their families more freedom with better mobility. Families can access parks and nature, as well as the city center. More doors are opening through our advocacy work which centers around inclusion for all people. WE ARE ALL IN THIS RACE TOGETHER.